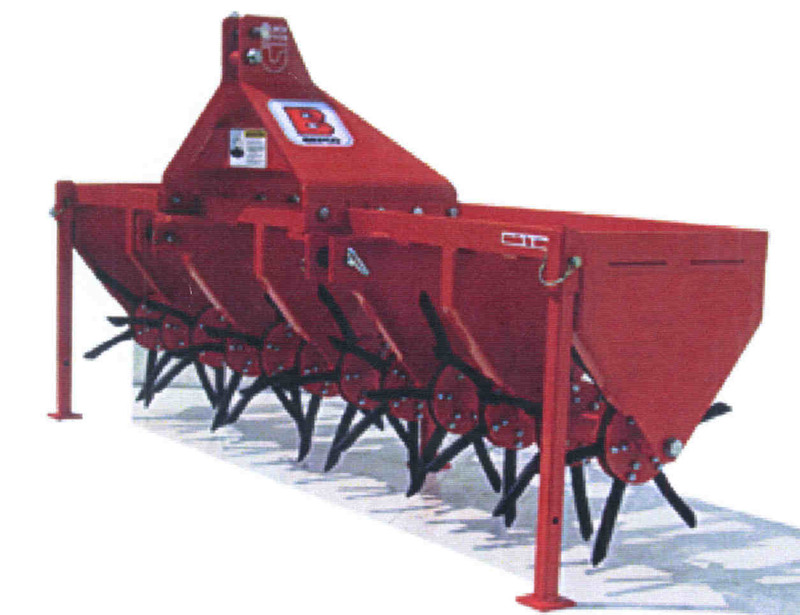 The Befco Core Plug Aerators are core type aerators that mount on your tractor's three point hitch (either front or rear mounted three point hitches). 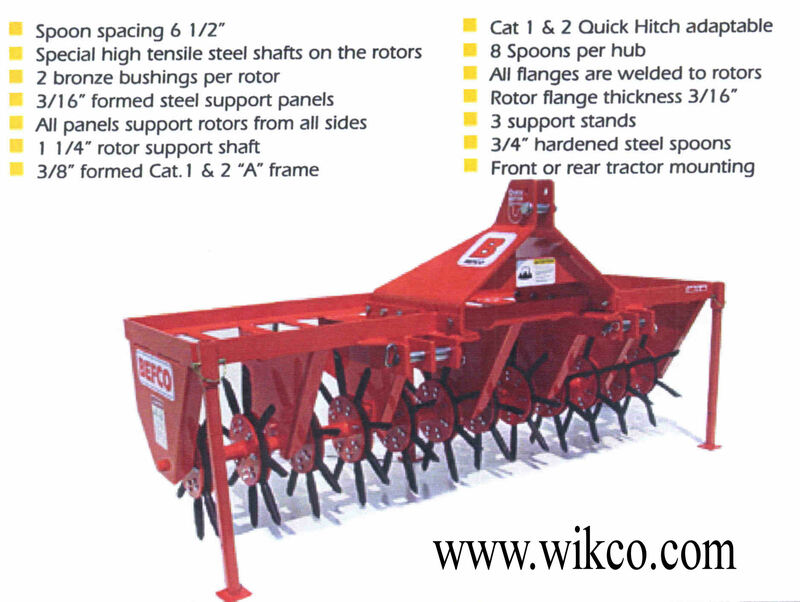 The Standard Series models available in 60 inch and 72 inch widths are designed for category 1 three point hitches on tractors from 20-50 hp. The Heavy Duty Series models are available in widths of 60 and 72 inches also, and mount on your tractors category 1 or 2 three point hitch, and require a tractor horsepower of 25 to 75 hp. 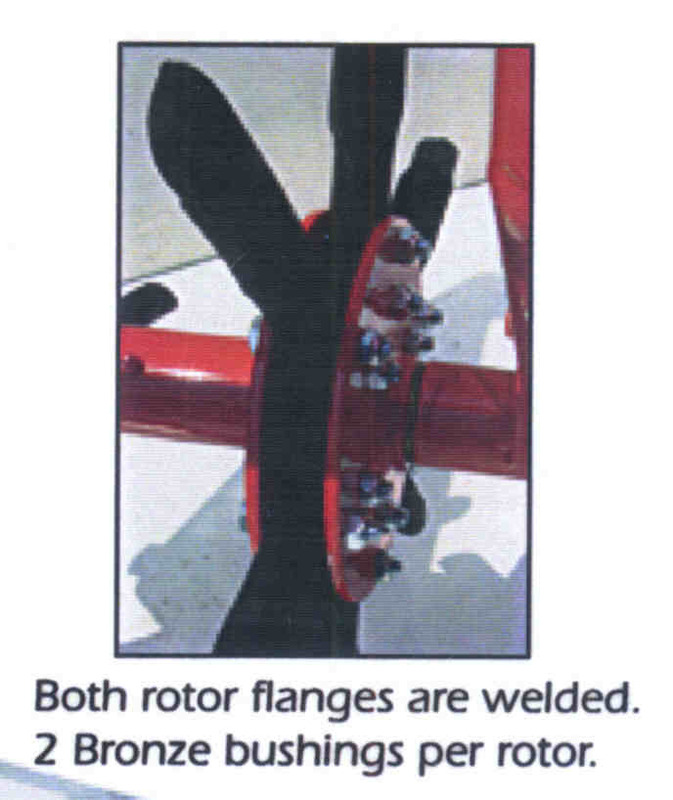 Both series use all steel construction and are designed to hold up under heavy use. You can purchase steel weight tanks to add water ballast for weight for maximum core plug penetration, or you can add your own on top of the frame. The units weigh from between 357 lbs. up to 549 lbs. 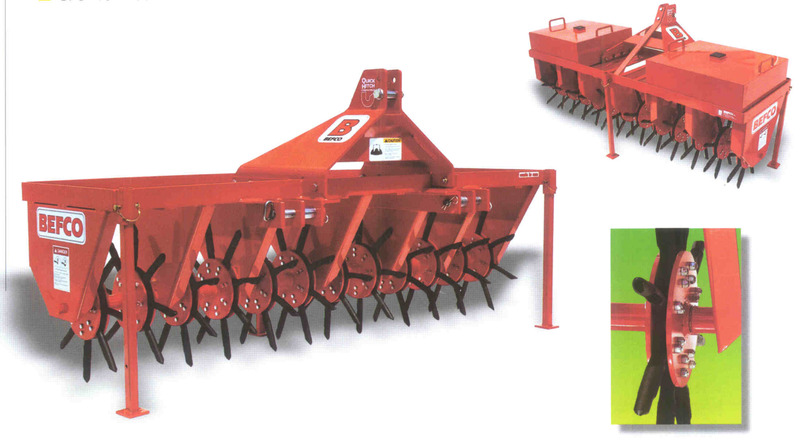 depending upon the model, so extra weight might not be needed depending upon the soil conditions. Maximum spoon penetration is 4.5 inches on all models. If ordering the items below with a new aerator, order through the drop down menu on the aerator order page. If ordering the items separately without an aerator, then click on the order form button below each item. Cash discount of 5 percent is available if payment is made by check and mailed to us, instead of paying online with a credit card, enter discount code CD5 in the coupon box at checkout to receive this discount.